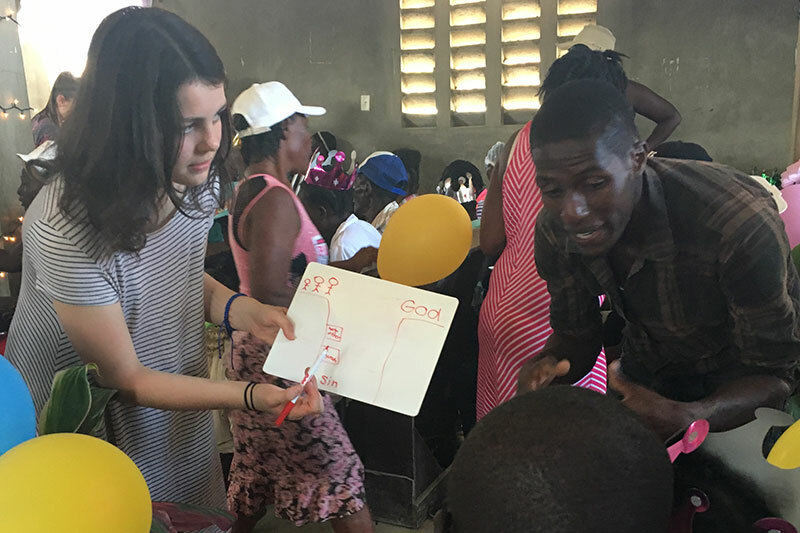 Valor Christian High School students traveled to the remote village of Thomassique, Haiti to throw a party in honor of handicapped and special needs children. Often those who have mental or health problems can be shunned and overlooked in a country like Haiti. Or, worse yet they can even be thought of as a punishment sent from God. As the guests of honor, we threw this party for the children and parents, to celebrate them and the parents who love them and care for them. Many parents brought their children from miles away to attend this unique and powerful party. We also got to pray over the children encouraging the parents and affirming of the beautiful job they are doing, taking care of these precious children. After, they were given a opportunity for clothes and shoes for their whole family. The students then washed the feet of the mothers to serve them, as they tirelessly serve their children. The celebration continued with a dance party! Everyone was dancing and smiling and joy filled the room as the Haitian children were twirled and carried and bounced to the beat of the music. As the evening ended there was laughter, hugs and smiles as we said goodbye. May the joy of the Lord be their strength each day until we meet again. This is one of our special guests Gelina and her grandmother Nayla. 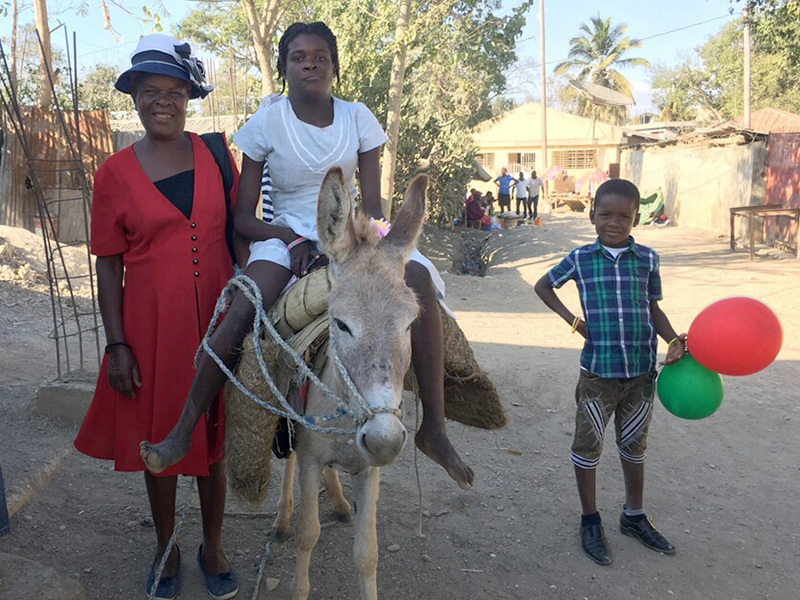 Gelina was given a donkey last year to help her travel. We were overjoyed to see her riding the donkey to the party! Read more about Gelina and Nayla’s story in our post from September 28, 2017.